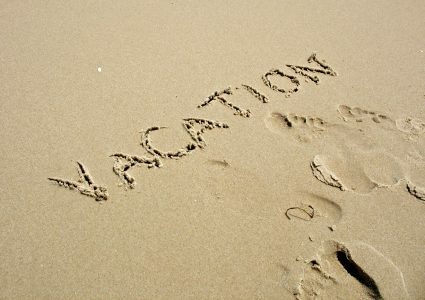 Vacationing is truly the most exciting aspect of the summer season! However, it always helps to do a little pre-planning to ensure that you do not end up spending more on travel than you should. Regardless of whether you are planning to visit your nearest beach destination in another state or looking forward to an international trip across the globe, our summer travel financial tips will help you budget your vacation wisely. Create a separate checking account for your travel funds. This helps in ensuring that your regular monthly liabilities stay separated from your travel funds. By having limited funds dedicated solely for your vacation at hand, it will be easier for you to keep a tab on your expenses. Also, in case you lose your debit card on the go, you will at least not have to worry about your actual seed money being fraudulently withdrawn. If you are traveling abroad, you might consider analyzing the currency exchange rates for that country. Also, it is always advisable to get your currency exchanged from your local bank and not at the airport, since the latter almost always quote higher exchange rates that the former. Create an itinerary and have a rough idea about the expected flight and hotel room fares. It always helps to know where exactly you are headed and how much you will be spending on a given day on your vacation. A ballpark figure will help you budget your funds more efficiently and make the most of your time away from home. Instead of going solo, you can book a group tour to cut back on your vacation costs. There are a myriad of tour operators that design standard group travel packages for a fraction of what you might pay when traveling alone. Most importantly, research as much as you can. The more time you spend on exploring the most reasonable budget options on the internet, the lesser you will spend on your vacation.